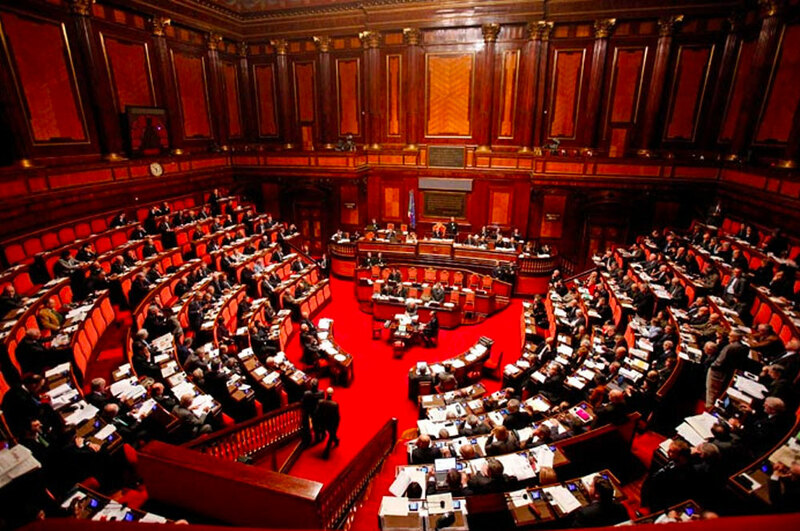 Home > News > SPERGOLA GOES TO THE SENATE!! On 29 November, in Rome, along with seven other wine cellars in the “Compagnia della Spergola”, the Spergola grape, the Compagnia della Spergola and our local territory were presented to the Senate, in a special event organised by the Senator from Reggio Emilia Leana Pignedoli. A press conference was held (click here) in the presence of Vice-Minister for Agricultural Policy Andrea Olivero, during which a number of authoritative speakers presented our grape variety, its century-old history and talked about everything that has been done to enhance the wine. A Spergola tasting event was organised in the evening at the Senate restaurant, to which a number of senators and authority figures were invited.